While in NJ last fall, I snapped some pictures of this. Along Alma School Road in Chandler AZ recently, I noticed people holding signs about the preciousness of life, even an unborn baby’s life. 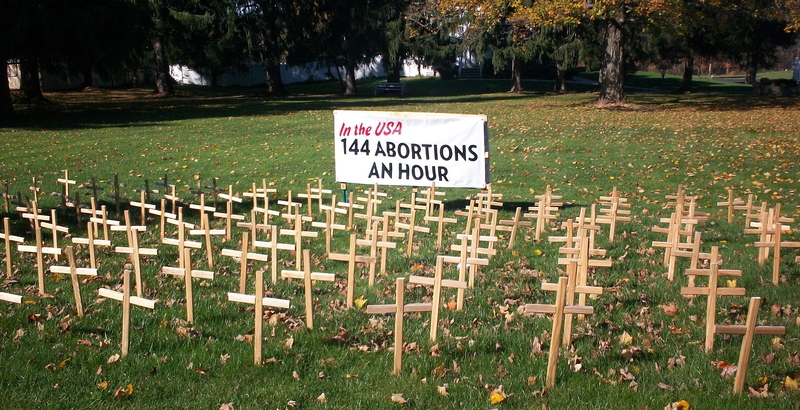 I stopped to talk with them and that’s when they let me know about the 40 Days for Life organization. The next 40 Days for Life campaign is happening in September if you or anyone you know wants to get involved. 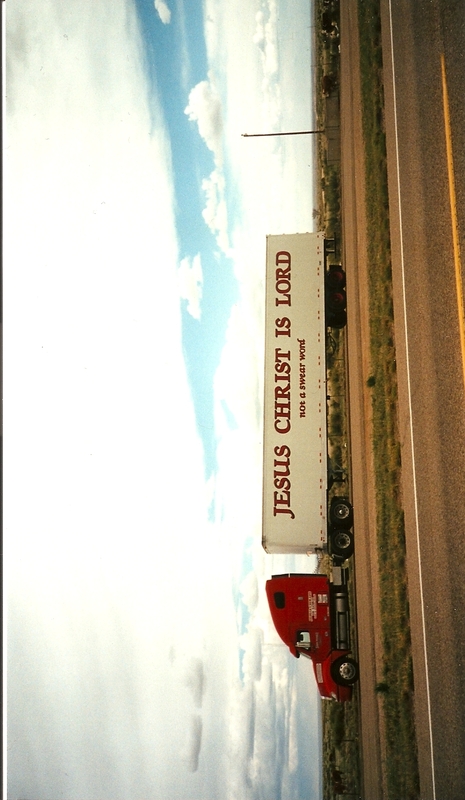 “The LORD lives! Praise be to my Rock! Exhalted be God, the Rock, My Savior!” 2Samuel 22:47 this photo is just a small part of the peace filled and beautiful Prayer Garden at Roxbury Holiness Camp in Orrstown PA (near Shippensburg PA). I was blessed to spend an evening in one of the cottages at the camp and I highly reccommend if you are passing through and need an inexpensive place for the night to check in to staying here. Roxbury Holiness also offers accomaodations for large groups for conferences. It has a variety of seasonal and monthly events and meetings open to the public. While there’s been no posts here in a while, as we know God’s still been all around and moving millions of us in ways for His glory. Though our own personal pruning and growth under the perfect hand of God may at moments feel anything but perfect in timing or amount to us, we can rest assured God is still on His throne and in control. The last few years have been very transitional for me, just as any new plant would need time to establish, take root, begin to grow and prepare for blooms and fruit. The God Around Town website, has continued growth by the hand of God, as I worked through the unexpected transition back to Arizona in the last few months. Please check out the new ministries which have joined www.GodAroundTown.org. and more upcoming blog posts too. Peace and Joy of Jesus, Always! God Around Town is about USA based Christian ministries that are getting people active in ways that glorify God. Here is one that reaches around the world to touch lives and could use our support now, with just a few simple clicks on a computer. Katie Meyler and her foundation are doing that, getting young girls off the streets of Liberia, educating them and sharing God’s love with them. The foundation’s name More Then Me says it all. It’s not about us, it’s about Him and whatever it is He wants us to do to help others, there by, revealing His glory. I was fortunate to meet Katie this year and heard her speak about her work in Liberia. She just exudes excitement and passion about what God has overflowed her heart to do. It’s contageous! More Then Me foundation is entered in a facebook voting contest to win up to $250,000. Please check it out and vote. SPREAD THE WORD! Voting ends Nov 21st. 25 organizations 25k.We definitely have a chance of winning at least 100k and possibly even 250k but we can NOT do this alone, we need your help, :)! So spread the word and let’s make a difference! If you have any place of worship, youth group, community center, high school, university or work place to spread the word to, it will help MAJORLY. We can do this together. 100 girls off the street and into school for 7 years with everything they need including a school lunch! Many definitions of the word light. Jesus is called The Light. We are called to be salt and light. God spoke light into existence. Here in the USA, most are accustomed to living with artificial light (electric or otherwise powered light). We can also have a feeling of lightness, like when we talk and “get the weight off our chest” or “the world off our shoulders”. About two months ago we went 8 days without electrical light and power due to hurricane Irene. Recently, due to a foot of snow that snapped trees and many local power poles and lines, we went another 7 days with out electrical light and power which affects ability to cook, have running water and many of the things I’ve become accustomed to having in my daily life. It was interesting to have it happen just as I started the God Around Town blog, because it interfered with my ability to have internet access for many days and put my focus on tasks and ways of doing things I normally would not have to. Mostly it gave me a chance to consider God in the happening, and His meanings of the word light, and how I can better implement them in my life. Thanks for being patient, many blog posts in the works.